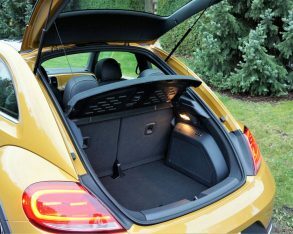 The Dune arrived last year and caused quite a stir amongst the VW Beetle faithful. 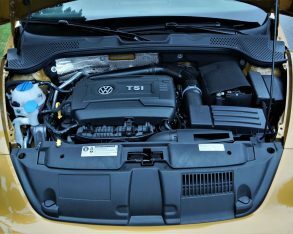 I’m not talking about those who adhere to the wonderful little air-cooled rear-engine “Bug” that put Volkswagen on the global map more than half a century ago, but more so those weaned on the modern-day front-engine, front-drive version that wowed the world as the Concept One when it hit VW’s Detroit auto show stage in 1994 and eventually arrived as the New Beetle in 1997. 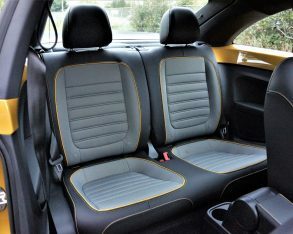 It was thoroughly and effectively redesigned in 2010 for the 2011 model year, the “New” internally named A4 version then old, resulting in the simpler “Beetle” nameplate getting the nod for this A5-based third-generation. It remains less frou-frou and therefore appeals to brawnier types, which has inevitably led to some very eye-catching special editions. 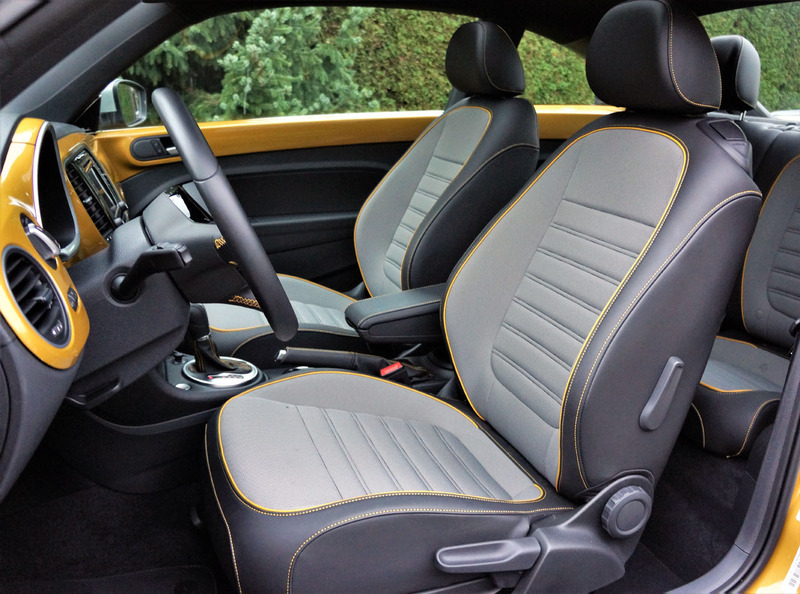 The best of these, in my opinion, is the Classic that arrived for 2015, which now seems to be a permanent fixture within the Beetle lineup, whereas the crossover-styled Dune is on its second year, with a convertible version added for 2017, so it appears this wonderfully unorthodox new addition will become a perennial regular too. 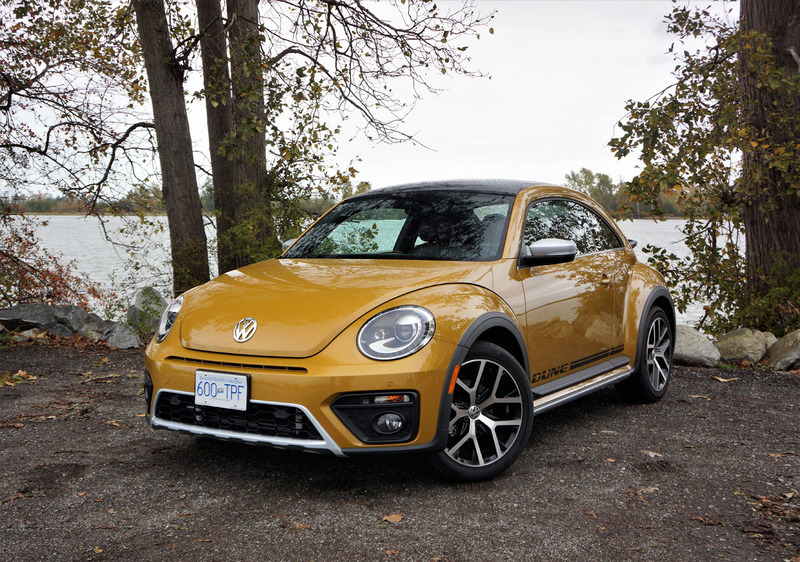 The Dune does a pretty good job of toughening up the Beetle’s less than masculine image, as seen here at its photo shoot next to a local river about five kilometers from my home. 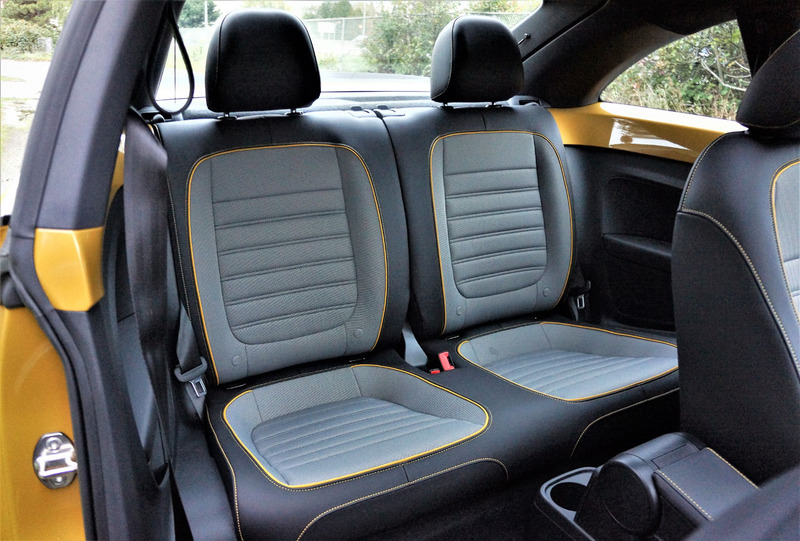 The gritty dirt underneath and natural background seems fitting, this being the “dune buggy” of the family, although a Golf Alltrack might be the more capable compact VW to take up and over unpaved hills. 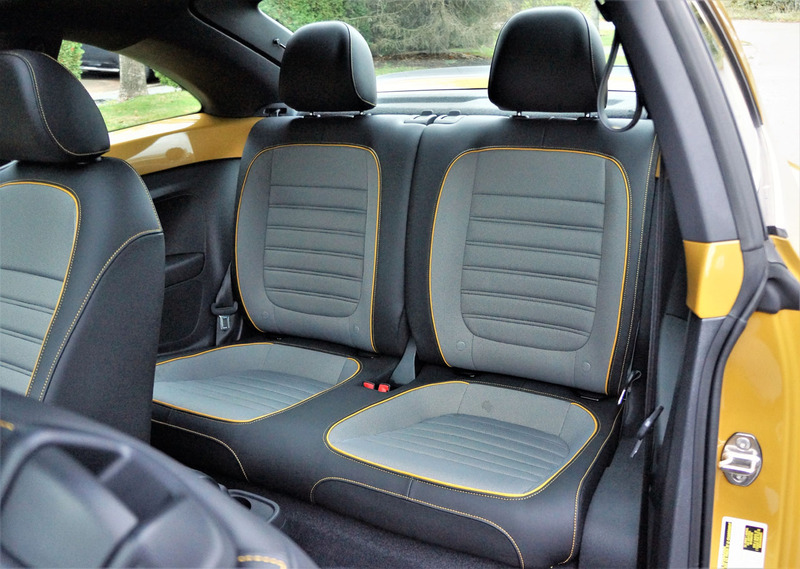 The expected SUV-like matte black plastic cladding is tastefully applied as a lower body wraparound, adding a little more beef around the wheel cutouts, while VW spiffs up the design with aluminum-look grille trim and undertrays front and rear. A 10-mm raised “Rough road” suspension adds to the crossover look, allowing more room for a decidedly non-4×4-like set of 18-inch machine-finished Canyon alloys, while wider front and rear tracks and a thicker 23-mm front stabilizer bar make sure that any additional top-heaviness is offset by added stability and extra rigidity in the suspension. 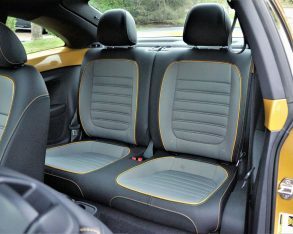 Exclusive Sandstorm Yellow Metallic paint (it’s also available in Deep Black Pearl and Pure White) gets carried over to the dash and door uppers inside, where it’s joined by Curry Yellow piping and stitching on the otherwise black leatherette bolstered seats with Dark Ceramique cloth inserts (no matter the exterior colour chosen), while the Curry Yellow stitching is also found on the leather-wrapped steering wheel, shifter boot, handbrake handle, and centre armrest. 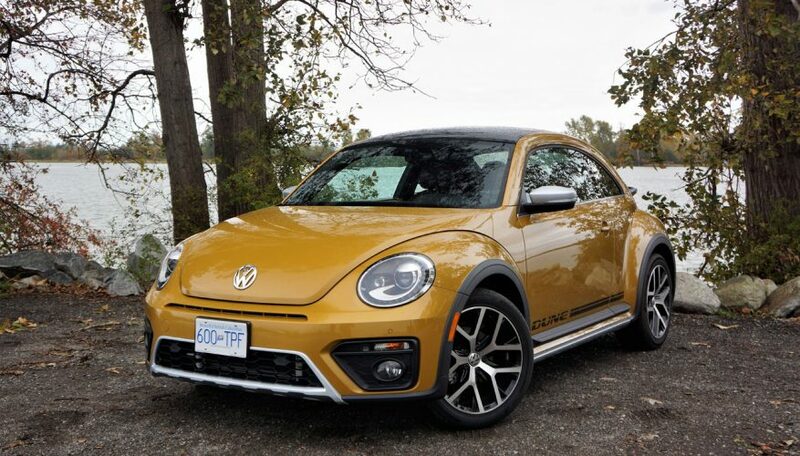 The $28,890 Dune hardtop is not only a style icon taken to the next level, but it’s a well-equipped daily driver filled with the types of features today’s buyers want, such as auto on/off HID headlights with delayed shut-off, LED daytime running lights, fog lamps, LED taillights, heated power-adjustable side mirrors, proximity-sensing access with pushbutton start, an auto-dimming rearview mirror, rain-sensing wipers, cruise control, heatable front seats, a 6.3-inch colour infotainment touchscreen with proximity-sensing digital buttons, Apple CarPlay, Android Auto and MirrorLink, a backup camera, navigation, two SD card slots, a USB port, Bluetooth phone and audio streaming, eight-speaker 400-watt Fender audio, a large power moonroof, front and rear parking sensors, an alarm, and more. 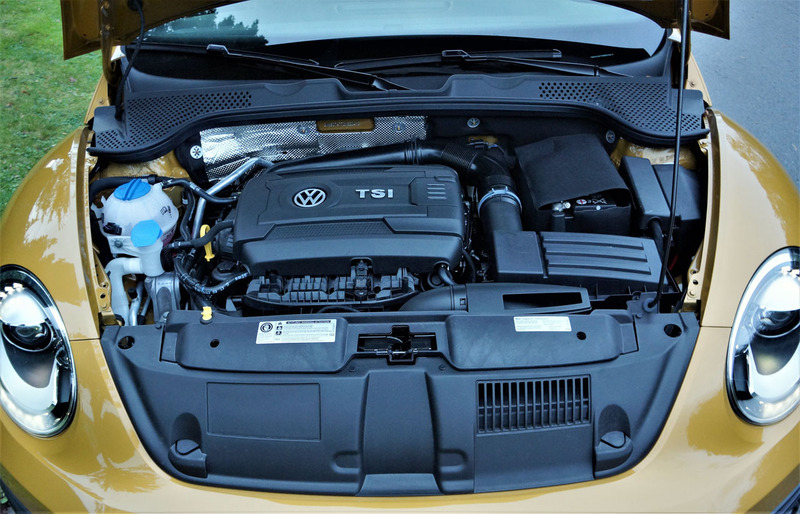 Front-wheel motivation comes via VW’s 1.8-litre turbocharged and direct-injected 1.8-litre four-cylinder that’s capable of 170 horsepower and 184 lb-ft of torque, and partially due to its six-speed auto with Tiptronic manual mode is rated at 9.7 L/100km in the city and 7.2 on the highway. While it looks like an off-road warrior the Dune isn’t available with 4Motion all-wheel drive, but its electronic traction and stability control, amongst other driving aids, reportedly help it go farther into the wilderness than most would think possible, but unfortunately we won’t be bushwhacking this week. 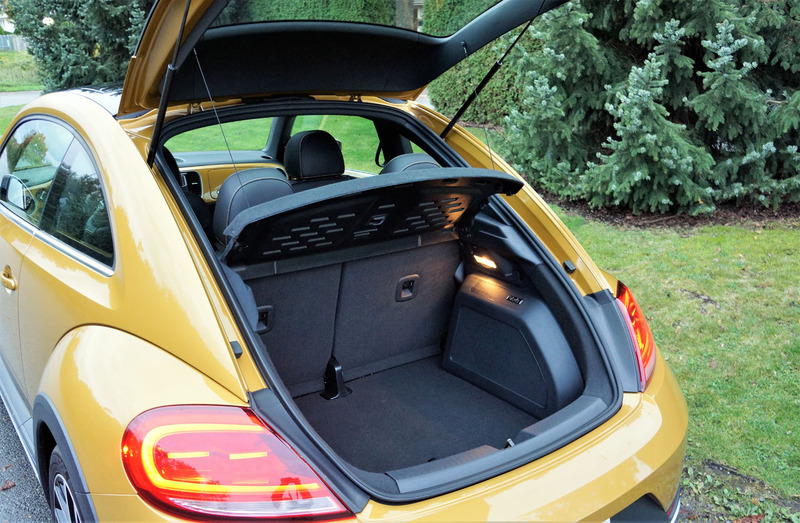 We will be enjoying the Beetle Dune on the streets of our fair city instead, although this week it’s particularly cool and cloudy, albeit mostly dry, so we probably won’t be taking it to the beach where it would fit in most ideally.